I post frequent updates on the RGG social channels, especially Instagram. It helps get the word out, plus I thoroughly enjoy the photographic act. And yes, it breaks up the flow a little bit…anyway - here’s some photos…enjoy! We lead off with an image of a Silencerco Specwar 762, mounted to the Colt LE6920 AR-pattern rifle. Featured ammunition is Federal M855 5.56mm as well as some M856 tracer ammunition. I stumbled across some Barnes Bullets .45 ACP +P TAC-XPD 185 grain ammunition the other day. 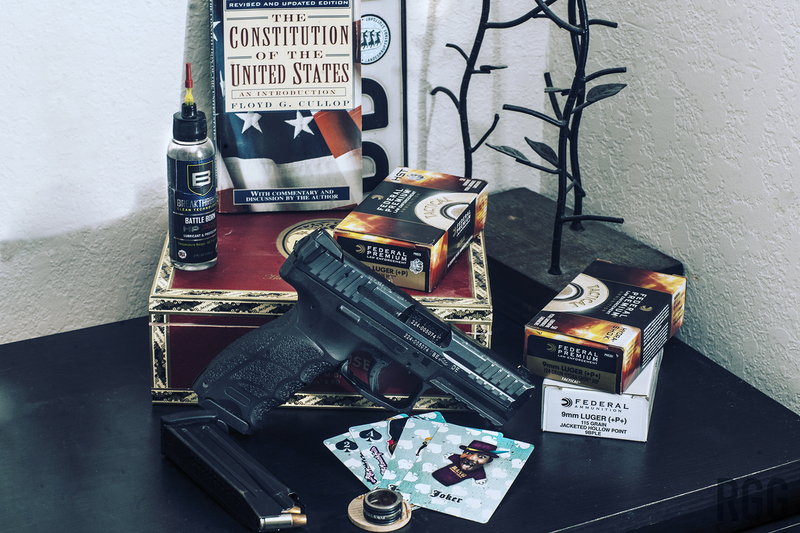 The unique color of the projectile drew me in, and unlike most ammo of a different color than grey or brass, this ammo was well-reviewed. So I picked some up for my GLOCK 30. Haven’t shot it as of yet. I’m debating on getting some ballistic gel for testing. Part of being a firearms owner is education. The basis of knowing your natural rights as acknowledged by the United States is the Constitution. I recommend giving it a read occasionally. Depicted here with the Heckler & Koch VP9 and various loads of 9mm ammunition. Sometimes you have to take a break though and read a good work of fiction. 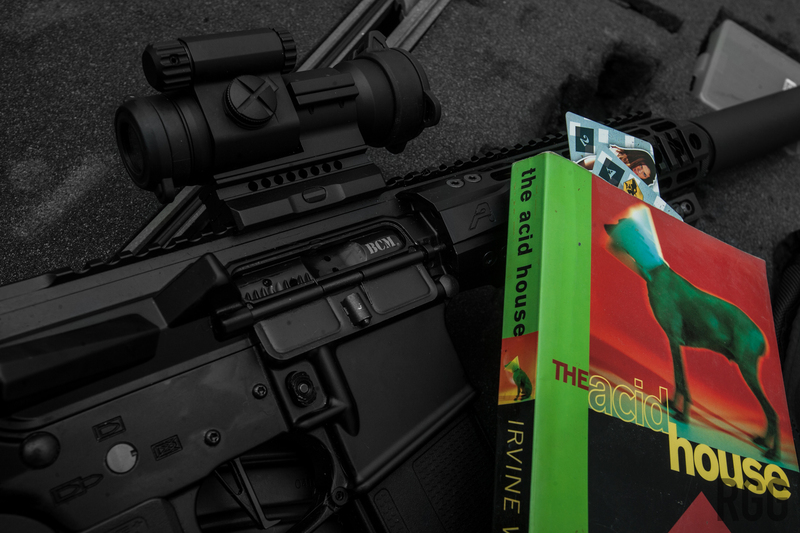 I’m sure Irvine Welsh would use a BCM bolt carrier group… - whether he would shoot in 300 BLK depends on his revenues, I’m guessing. I love 300 BLK but even if I reload, the cost can be a little painful. The Regular Girl is competent with her Smith & Wesson M&P Shield .40 S&W subcompact. She’s also getting better with my 300 BLK build. Guys, make sure the ladies in your life know their way around your firearms. You might not always be around, and it falls to her to defend and protect. Shooting suppressed is a wonderful thing. The benefits outweigh any potential disadvantages. The only real issue is that there will be more gas and deposits blown back into your rifle, and in a direct-impingement (more on that in a future article) system such as the Colt LE6920, the fouling becomes even more foul. The parts that get dirty, will get dirtier. 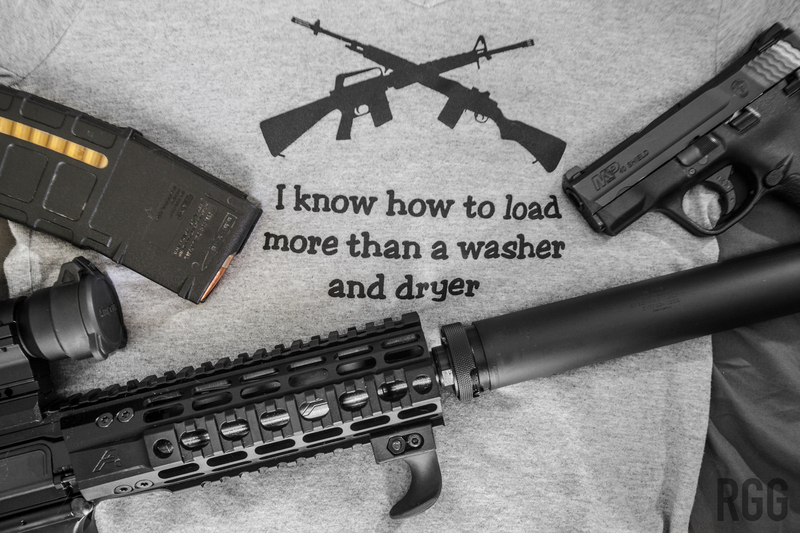 Cleaning should be part of your firearms routine anyways, so this isn’t an issue if you think about it. 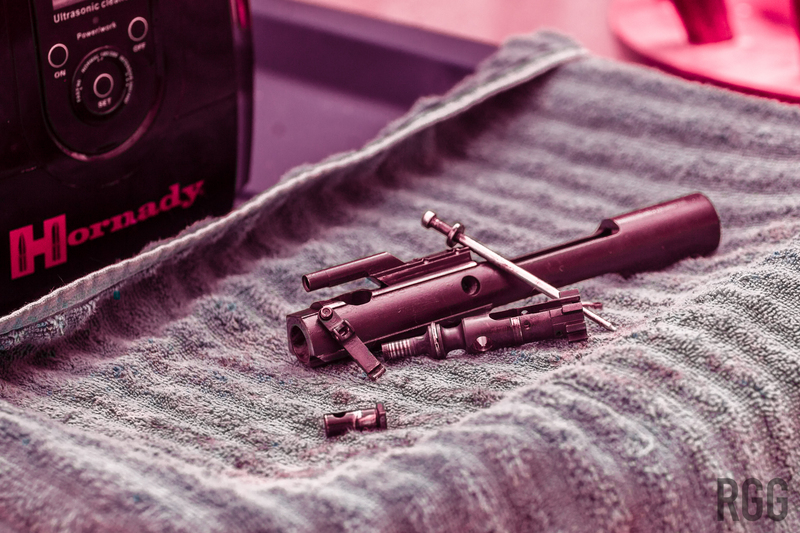 I help things along with Hornady Lock-N-Load Ultrasonic Cleaner. 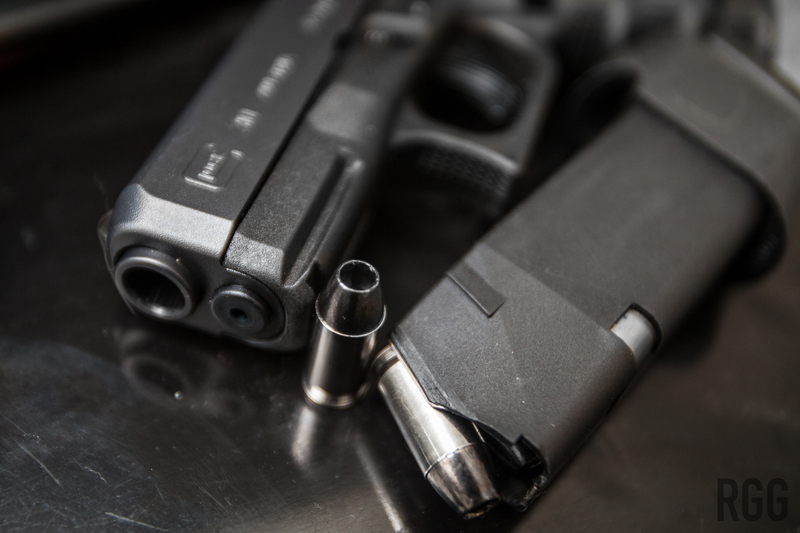 Combined with either Breakthrough Clean solvent, or Simple Green, the ultrasonic action blasts away 99 percent of the carbon fouling on most gun components. I’ll admit, I sometimes pick up unusual ammunition just because. I stumbled across this Winchester .223 load recently. 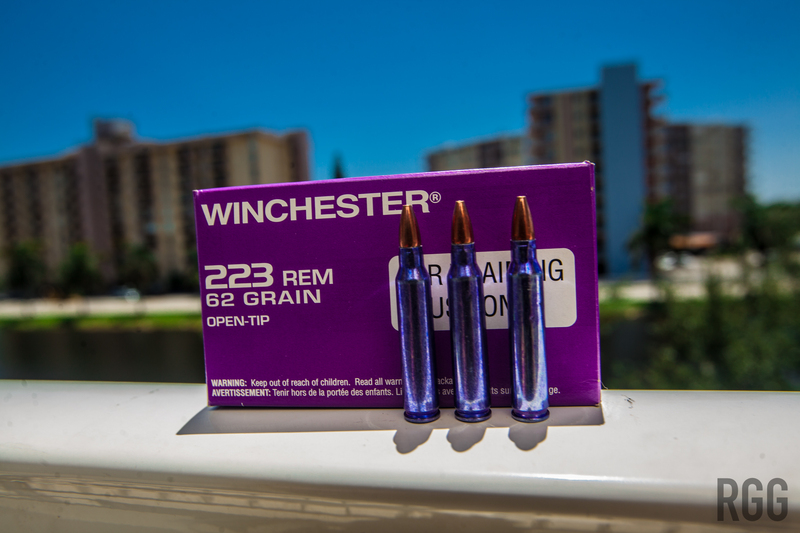 Yes, the casings are tinted in purple. This .223 caliber load was produced for the Department of Homeland Security for training purposes. Occasionally it pops up in the usual places as “DHS Contract Overrun” ammunition. 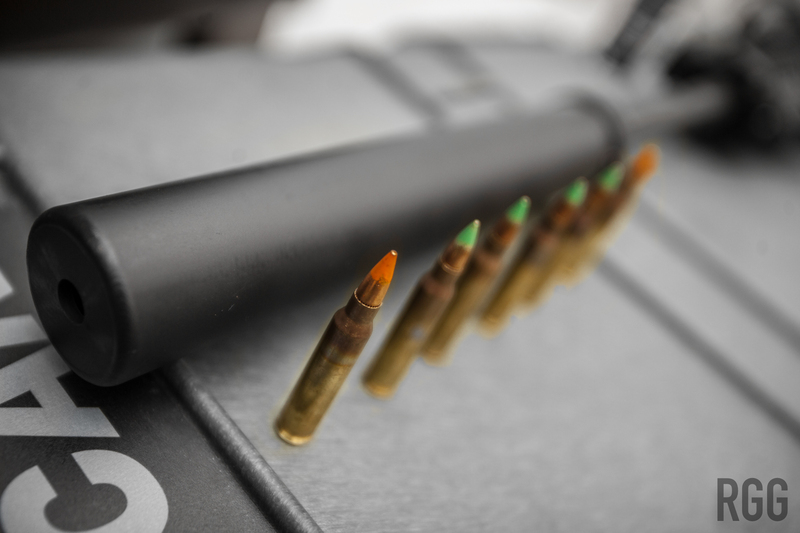 It shoots reasonably accurate, and is supposed to simulate the ballistics of the DHS’ duty rifle ammunition. I’m sure the boys in blue enjoy the purple tint. If you want to do some detailed searching for it, the item number is Q4409. I’ll be providing some more content shortly. Things have been a little delayed, as some have noted. The Regular Girl reminded me that we’re getting married next month. Priorities and all. I’ll still manage to squeak out a few pieces between now and then, however.